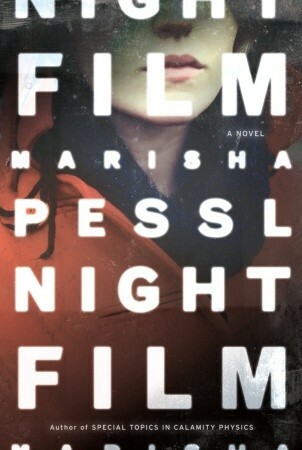 Marisha Pessl’s Night Film is an experience. Composed of newspaper clippings, websites and interview transcripts, the novel is both a gripping murder mystery and an homage to the art of film itself. When Ashley Cordova is found dead in an abandoned warehouse in lower Manhattan, a presumed suicide, journalist Scott McGrath decides to investigate the mysterious circumstances around her death. Years earlier, McGrath’s marriage and career were ruined by his obsession over Ashley’s father, the reclusive cult-horror-film director Stanislas Cordova. Cordova is a mix of Alfred Hitchcock creepy genius and Howard Hughes reclusiveness. In one story about him, his son loses a couple of fingers during a film shoot and rather than taking him to the hospital, Cordova decides to film the genuine pain and anguish on his son’s face, putting a rather epic final touch to one of his horror masterpieces. As McGrath delves into Ashley’s death, he delves even deeper into her father’s life. Two strangers — a young man who knew Ashley from childhood and the coat check girl who may have been one of the last to see Ashley alive — help him along the way, and form a rather ragtag investigative team. The book really is less about McGrath than about Cordova — the film maker looms larger than life throughout the book. Everything we, along with McGrath, learn about the Cordova family adds only to the man’s mythology, and it’s not long before we realize we feel right smack in the middle of a Cordova film ourselves. This isn’t to say that the whole plot is a Cordova film, but rather than Pessl creates atmosphere and teases her readers with slivers of detail, always with ever more of the story just tantalizingly out of reach. The effect is that of watching a Hitchcock thriller. And even when a rational part of our mind realizes that McGrath is turning irrationally obsessive over this case, even when a rational part of our mind wants to counsel him into taking care of things in the “real world,” even then we must admit, we too are being sucked into this narrative. Would the story be just as good without the newspaper clippings, the website screenshots and all the other bells and whistles that come with the text? These elements add quite a bit to the story — they break up the narrative flow in an interesting way, and give the impression that we’re investigating the case right alongside McGrath, rather than hearing about it from him second hand. About halfway through, I wondered how strong the story was on its own, away from all these bells and whistles. Personally, I think the multimedia elements definitely enhanced the story. However, any doubt I had about the strength of the story beyond that were dashed in the second half. As the book hurtled on towards its conclusion, its momentum again evoking in the reader a breathlessness akin to the experience of watching a horror film, I realized I was so completely, utterly caught up in the story that I barely noticed the shift between plain text and multimedia. It was all part of one story, and Pessl does a great job in integrating them all. The power of Pessl’s narrative is an homage to the power of art itself. By reflecting the experience of film on a page, she captivates readers through both mediums. I wished I could watch Cordova’s films even as I was glad to be reading Pessl’s writing. This is far from a perfect book — some of the situations seemed schlocky, some of the characters flat, some of the sections moved too slowly, and the overuse of italics really annoyed me. But it definitely draws the reader into an experience. As with all great cult classics, sit back, relax, and let the book work its magic. Thank you to Random House of Canada for a copy of this book in exchange for an honest review. Thank you as well for the invitation to the “secret location” launch for the book — the mystery surrounding the event was very fitting for this book, and the deadly perfect blood orange margarita was, well, deadly perfect indeed. This entry was posted in Book Reviews and tagged 50BookPledge2013, Fiction, Mystery, Random House by Jaclyn. Bookmark the permalink.